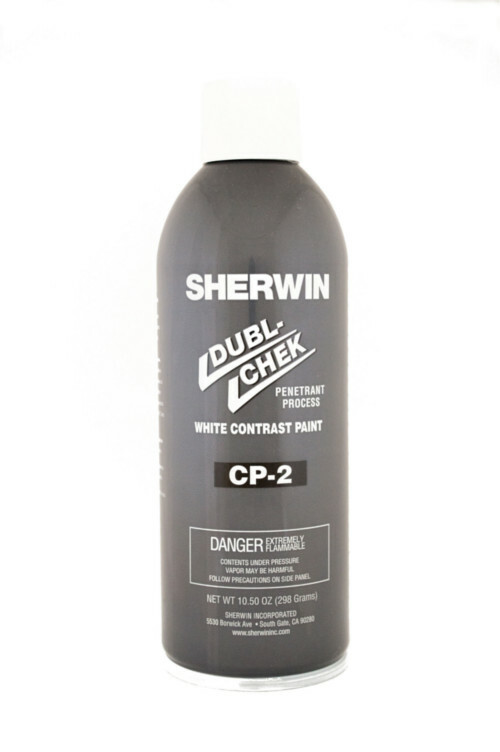 CP-2 contrast paint provides a high contrast background for interpreting magnetic particle indications. By applying white, CP-2 contrast paint to a part before magnetic particle inspection, indications will show more clearly against a white background and be easier to interpret. CP-2 enhances the visibility of black or red-brown magnetic particles under white light conditions. CP-2 is very useful when the color of the surface being inspected approaches the color of the dark magnetic particles.